You can go ogle the shoes now. 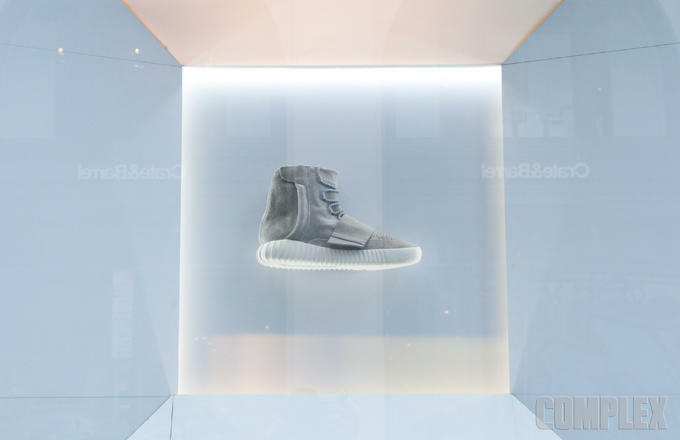 The adidas Yeezy 750 Boost by Kanye West is currently hovering in the window of adidas' massive store at 610 Broadway in NYC. 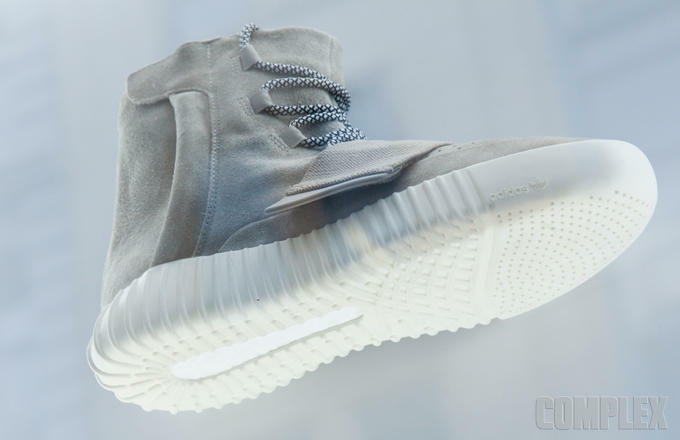 This display, caught by Complex, marks the first time that the shoe has been on full view for the public. 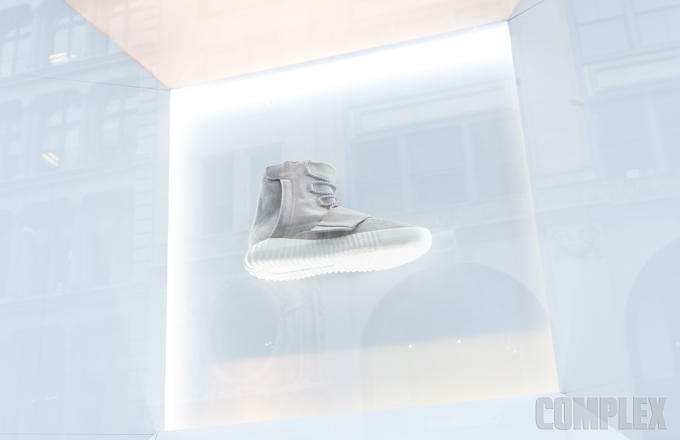 All the looks so far have been given through a camera's lens, often times via subpar camera phones and images doused in filters, but this will let New Yorkers get a real opportunity to see the shoes in person ahead of this week's launch. 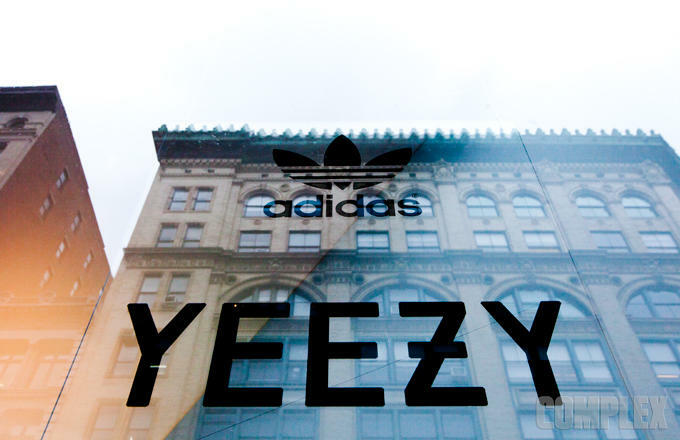 The window dressing urges passers-by to download the adidas Confirmed app, which will be the platform that the adidas Yeezy 750 Boost launches through.